You have added Starburst Sequin Embellished Capsleeve Party Dress into shopping cart. This sequin party dress is perfect for any upcoming event! The Starburst Sequin Embellished Capsleeve Party Dress is fully lined. 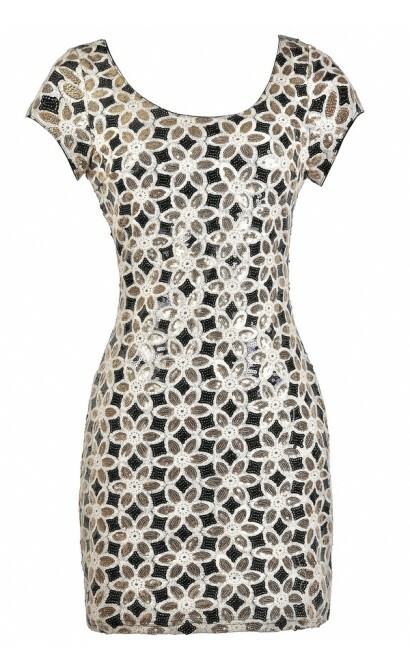 It is made of a unique fabric with miniature sequin embellishments that form geometric designs throughout. 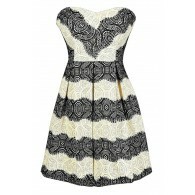 It has a rounded neckline, cap sleeves, and a classic sheath cut. An open back design and exposed back zipper complete this dress. The Starburst Sequin Embellished Capsleeve Party Dress looks perfect paired with black or metallic pumps or heels and a clutch. Details: Fully lined. Exposed back zipper. 100% polyester. Lining: 100% polyester. Dry clean only. Small measurements: Length from top of shoulder to hemline: 32". Bust: 30". You have added Starburst Sequin Embellished Capsleeve Party Dress into Wishlist. You have added Starburst Sequin Embellished Capsleeve Party Dress for Stock Notification. You have set Starburst Sequin Embellished Capsleeve Party Dress as a loved product. You have removed Starburst Sequin Embellished Capsleeve Party Dress as a loved product.